A glistening tree graces the window as the sun sparkles off the Caribbean water. A refreshing trade wind breezes through as you step out from the terrace to the infinity pool. Bathing suits in place of winter coats, and white sand instead of white snow: this might not have been exactly what Bing Crosby had in mind when he was “dreaming of a white Christmas,” but the holidays in St. Barthelemy is an experience not to be missed. 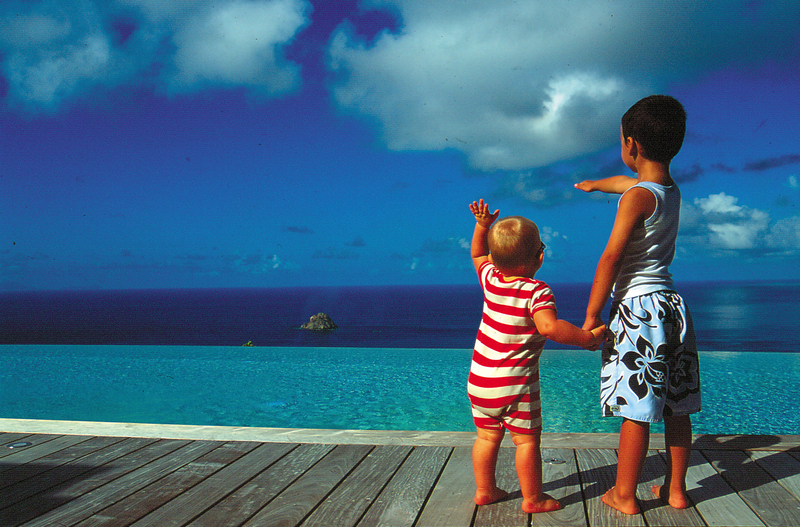 While it is not the typical image of Christmas, there is something special about spending the holidays on St. Barths. Familiar scenes with a twist can often be found on the Caribbean island, from the pre-decorated Christmas trees to “sandmen” on the beach. And it wouldn’t be Christmas without plenty of Christmas parties. With so many people on the island who return year after year, friends gather together to celebrate the holidays with food, music, and lots of good cheer. St. Barths’ capital, Gustavia, is the place to find perfect gifts for everyone on your Christmas list. With a variety of high-end luxury boutiques, some of the best shopping in the Caribbean is in St. Barths. The holidays are high-season on St. Barths, so dining reservations are a must. WIMCO’s destination specialists can make reservations for you or even hire a personal chef to cater to you and your group. From Maya’s to Eddy’s to Eden Rock, there is no lack of delicious options on the island. For home-made family comfort foods, shop the local grocery store and prepare your own holiday meals in the villa. Relax in complete luxury with the ones you love this holiday season and discover Christmas in St. Barths.